LONGFIELD will be touring in support of her ambitious new album, ‘Disparity,’ which was released on November 30, 2018 via Season of Mist, making it the guitarist’s debut to the label. ‘Disparity’ sees LONGFIELD raise her virtuoso playing and unique tapping technique (adapted from piano-playing fundamentals) to astounding new heights. Her music defies all genre constriction while artfully melding complex melodies with incredible levels of guitar shred. LONGFIELD is in the vanguard of young players leading the evolution of the modern guitarist, with ‘Disparity’ being a fascinating and mesmerizing glimpse inside the storm. Listen to ‘Disparity’ in full HERE. 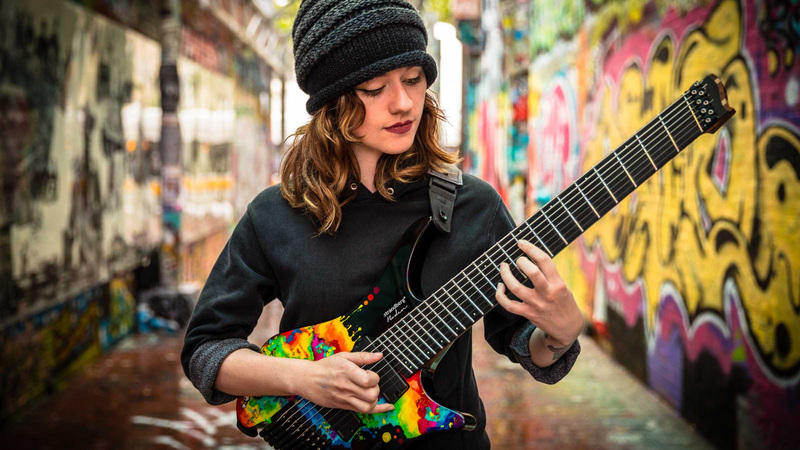 Additionally, the 8-string extraordinaire recently debuted her first ever signature guitar via Strandberg at the 2019 NAMM Show. Details on her signature axe can be found HERE. Photos can be found below. Longfield first gained notoriety from her prolific playthrough and guitar demonstrations on her YouTube channel. Since then, Longfield has uploaded a collection of over 100 videos, featuring playthroughs, cover songs, solo material, vlogs, and much more. To date, Longfield’s channel has over 215,000 subscribers, and amassed millions upon millions of views. For more on SARAH LONGFIELD, visit her official YOUTUBE, FACEBOOK, and INSTAGRAM pages.For more on SEASON OF MIST artists, visit our official WEBSITE, FACEBOOK, INSTAGRAM,YOUTUBE, and TWITTER pages.